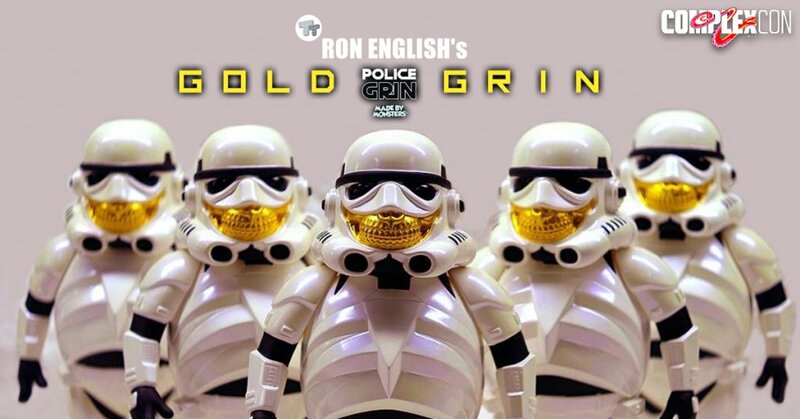 MORE surprises from Ron English as the leak of the exclusive Police Grin Secret Gold Grill has emerged! ComplexCon attendees should have a GRIN right now as the info given to us that the Police Grin Secret Gold Grill will only be available at ComplexCon 2017. Look out for the release info and that all important online release for collectors who aren’t lucky enough to be heading to Complexcon. Also, the Ron English Popaganda Takeover at Toy Tokyo starting on Tuesday, October 24th will operate Tuesdays through Sundays from 2pm till 7pm till the close of the pop-up shop in late November.